Buy Diazepam Safely Online Uk Drinkall collaborated with programmer Warren Artmstrong in 2015 to create EEG Bioneuroheadset interaction with a video montage called Hypnosis in Video made in 2000. The movies used to capture scenes of hypnosis from cinema, via digitized VHS videos, include The Exorcist, Videodrome, Big Trouble in Little China and The Andromeda Strain. 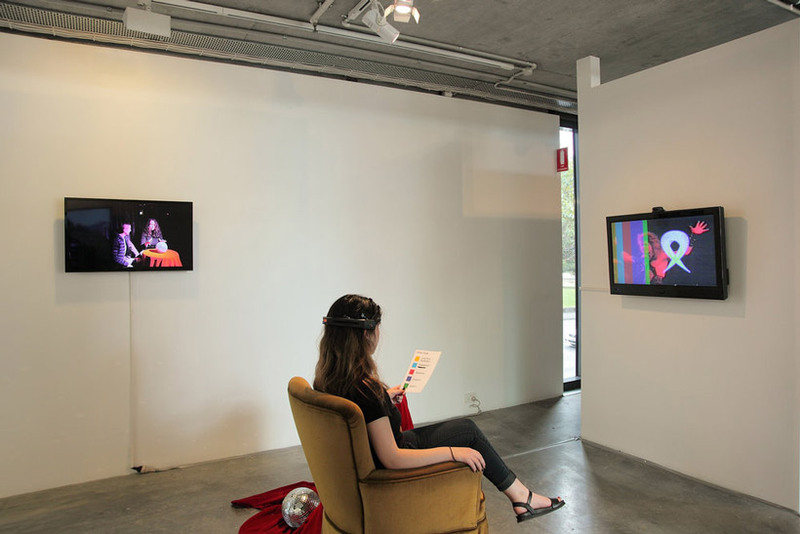 An emotive headset was used to provide data mapped from the emotional, affective and psychic state of the viewer participant and to remap and create feedback back onto the montage as it is being viewed. Shifting bars of colour, each signifiying a different mental state, are overplayed over the movie montage. After three significant changes in dominant mental state the viewing participant then triggers mesh-like aura or ‘thought-form’ borrowed from Annie Besant and C. W. Leadbeaters book Though-Forms. Drinkall discovered this book along with Deleuze and Guattari’s book Capitalism and Schizophrenia and the concept of rhizomes in her first year of art school in 1992, and both informed her intense attraction to creating woven coloured mesh-forms from telecommunications wire, which remains part of her practice and informs her interest in telepathy and telecommunications. An earlier work by Drinkall in collaboration with Armstrong using the Emotive bioneuroheadset was Harlequin UFO, with the mental states of viewing partcipants mapped onto the surface of a virtual UFO. Harlequin UFO work was performed within Drinkall’s demountable UFO structure made from vacumm-formed acrylic in her exhibition Unidentified Flying Data at Firstdraft Gallery in 2013.
http://charlotteskitchendiary.com/tag/best-christmas-cake/feed Hypnosis In Video for Brain Computer Interface from Jacquelene Drinkall on Vimeo.